Following on from my last post, Wildlife and Nature Pictures - Bird Migration (Part 1) I touched on the various migrant birds we have in South Africa, breeding, non breeding, Intra-African migrants and Paleartic migrants or more precise Afro Paleartic migrants. Of course we also have the 'Vagrants' which grace our shores periodically. 'Vagrants' are rare and or uncommon birds that are 'known' but are far out of their normal geographical range. For example the 'Citrine Wagtail' normally found in North and Central Asia and normally migrate to Southern Asia, was spotted at a South African river mouth 'Gamtoos' in 1998. This would be denoted as a 'rare vagrant' with no records since. 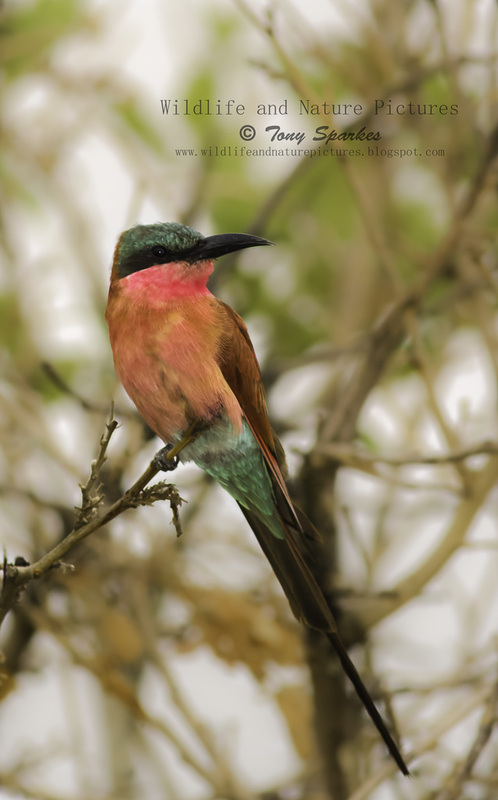 Breeding and non breeding migrant birds speak for themselves really and as mentioned previously, they fall under our two main categories either Intra African migrants or Afro Paleartic migrants. In this post I would like to explain what we mean by Intra-African migrants. Intra African migrants quite simply are 'birds that migrate within Africa' and here in South Africa we have 35 recorded species as denoted by SABAP2 (South African Bird Atlas Project 2). - African Paradise Flycatcher, Diderick Cuckoo - (Breeding), Horus Swift- (Breeding), Southern Carmine Bee-eater and Woodlands Kingfisher to name but a few are all birds that migrate to South Africa and other sub-Saharan countries for the summer months and I have seen and photographed the above many times this summer. As an approximate date these Intra-African migrants start arriving in South Africa from Sub-Equatorial Africa and Sub-Saharan Africa between Sept-Nov and start to leave between Mar-April. Birds north of this Sub-Saharan region generally migrate between mainland Europe and Asia. Interestingly it should be noted and has been reported and researched that due to climatic change arrival/departure times seem to be changing.